BURNLEY, England (AP) — Burnley moved out of the Premier League relegation zone with a 1-0 home win over Brighton on Saturday as James Tarkowski's first-half goal secured the first win in nine league games for the Clarets. Burnley has 12 points from 16 games and is two points from danger. 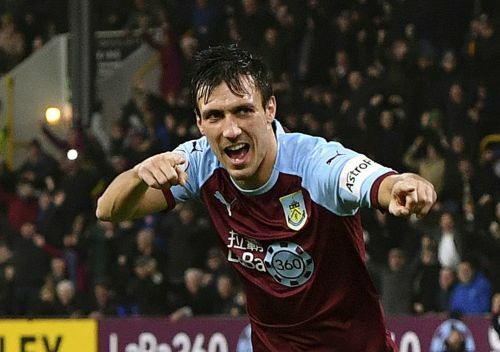 Burnley, which had picked up just two points from its previous eight matches, scored in the 40th minute at Turf Moor when Jack Cork hit a shot and the ball went in off teammate Tarkowski. The defender almost added a second with a 62nd-minute header before Brighton substitute Juergen Locadia nodded over from a great position and Solly March struck narrowly wide. Burnley moved to 17th, while Brighton dropped a place to 11th.